(Jakarta, March 12th 2014) - After successfully opening the first Harper Hotel in Kuta, Bali last November, Archipelago International is on track to open another 8 hotels under the expanding Harper brand. Harper hotels are conceptualized as modern accommodations, topped off with an infusion of rustic charm and a residential feel. Combining comfort and functionality, Harper’s design concept uses warm, rich colors to offer comfort in every room. Accents of warm autumnal fabrics and soft orange hues promote relaxation like spiced pumpkin, tangerine and amber, while modern grays create an understated cool elegance. - Harper Banjarmasin will have 150 rooms, 6 meeting rooms, a coffee shop, a specialty restaurant, a swimming pool, gym and spa. - Harper Puncak Gate Bogor will be the largest of the latest Harper hotels with 300 rooms, 13 meeting rooms, a swimming pool, a coffee shop & a restaurant. 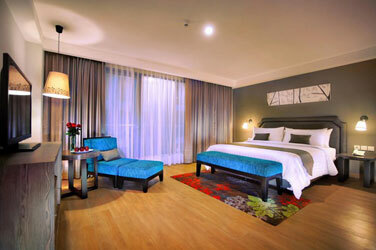 - Harper Pasteur Bandung will have 176 rooms, 10 meeting rooms, a coffee shop, a lounge and a swimming pool. - Harper Samarinda will have 175 rooms, 3 meeting rooms, a ballroom, a coffee shop, a lounge, a swimming pool, gym, spa and a specialty restaurant. - Harper Mangkubumi Yogyakarta will be opening the soonest, scheduled to open in June 2014. The hotel will have 155 rooms, 4 meeting rooms, a coffee shop, a lounge and a swimming pool. - Harper Surabaya will have 184 rooms, 6 meeting rooms, a coffee shop, a lobby lounge, a swimming pool, gym & spa. 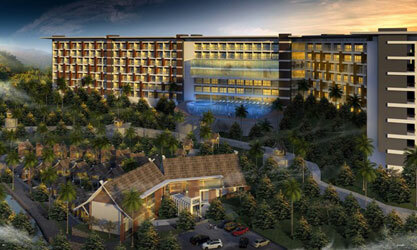 - Harper Perintis Makassar will have 159 rooms, 5 meeting rooms, a ballroom, a lounge & bar and a restaurant. - And finally, Harper Simatupang - Jakarta will have 180 rooms, 7 meeting rooms, a coffee shop, a swimming pool, gym and spa. “We are thrilled with the response from the Harper brand following the successful story of Harper Kuta - our first Harper hotel that opened last November in Bali. It was the only brand new hotel to open in the area that was an instant hit, with 84 % occupancy in January despite Kuta bursting with an oversupply of hotel rooms. With this success we are moving forward and gearing up to open another 8 Harper hotels throughout the Archipelago. You can follow the brand's development at our website: www.harperhotels.com” Said Norbert Vas, Vice President Sales & Marketing Archipelago International.